There are several forms of phosphorus. White phosphorus is manufactured industrially, glows in the dark, is spontaneously flammable when exposed to the air above 30°C and is a deadly poison. Red phosphorus, made by gently heating white phosphorus in the absence of air to about 250°C, does not glow, is stable and is not poisonous. This is the material, mixed with powdered glass, stuck on the side of boxes of safety matches on which the matches must be struck to light them. Phosphorus itself is essential to all forms of life since it is part of DNA, although there are many phosphorus compounds that are essential in the living cell. We take in about 1 gram of phosphate a day, and we store about 750 grams in our bodies, since our bones are mainly calcium phosphate. In the environment and in living things, phosphorus is present as phosphate, which consists of one phosphorus atom at the centre of four oxygen atoms. Phosphates are used in fertilisers and detergents and in metal coatings to prevent corrosion. However, excess phosphates in rivers and lakes cause an over-growth of slimy green algae, which robs the water of its life-supporting oxygen. 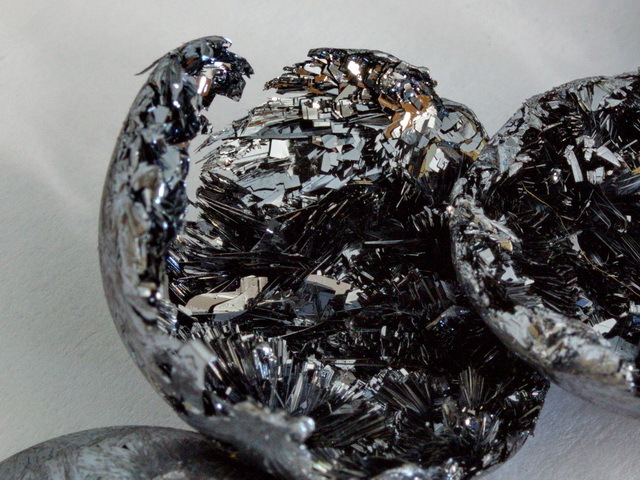 High pure black Phosphorus crystals produced by gas phase transport - The highly shiny and very stable crystals have a bluish black metallic luster. 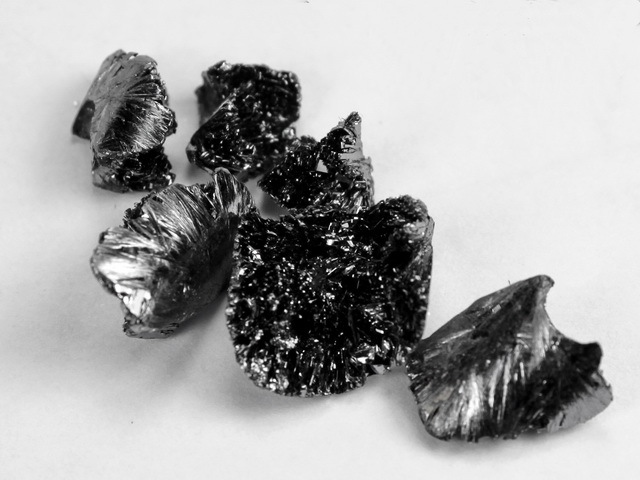 You get 1 - 2 crystal clusters from which single crystals in the size up to 8mm can be isolated. Suitable for scotch tape method or liquid exfoliation. These samples are perfecty suited for semiconductor experiments. Unlike the otherwise commercially available material. This material was produced by a modified vapor deposition method developed in our lab, which virtually eliminates the usual contaminants. For analysis data (XRD, Raman, TEM, TGA) please send a request.